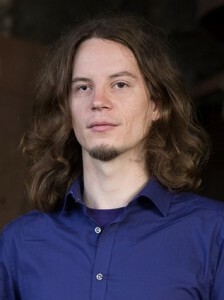 My name is Rok Piltaver and I am a researcher at the Department of Intelligent Systems, Jozef Stefan Institute, Ljubljana, Slovenia (since 2008) and Ph.D. student at Jožef Stefan International Postgraduate School, Slovenia. ECCAI Travel Award (2014) financial support by European Coordinating Committee for Artificial Intelligence for early stage AI researchers to attend the ECAI 2014 conference with a full paper. Scholarship for overseas research cooperation of doctoral students granted by Slovene Human Resources and Scholarship Fund for 9 month research visit at University of Rijeka, Department of Informatics. EvAAL award (2013) at Evaluating AAL Systems through Competitive Benchmarking competition for the best Activity recognition system received at Ambient Assisted Living Forum. TARAS Award at the 3rd IRT (2011) TARAS Award at the 3rd Industrial Forum of Innovation, R&D and Technology (IRT) for the most successful collaboration between research institution and industry for »i-Lab – Intelligent laboratory system for healthcare«. Best Slovenian Innovation (2009) Best Slovenian Innovation in 2009 at 4th Slovenian Forum of Innovations (organized by JAPTI) for innovation »Intelligent security system for the surveillance of buildings«. Zois Scholarship for gifted students (1997-2007). Inteligentni varnostni sistem in postopek za odkrivanje neobičajnega obnašanja (Intelligent Security System and Process for Detection of Unusual Behavior), Slovenia P-201100298, Issued: February 28, 2013. Paten link. Interaktivni vratarski sistem (Interactive Door System), Slovenia P-201300044, Filed: March 1, 2013. Interactive Door System, PCT International Application PCT/IB2013/055990, Filed: July 22, 2013. Postopek identifikacije osebe, ki vstopa v prostor (Method for Identification of Persons Entering a Room), Slovenia P-201300281, Filed: September 19, 2013. I am an artificial intelligence researcher excited by new challenges in basic research and eager to apply my knowledge and experience in application projects. I have a high success rate in writing research project proposals and am happy to lead projects teams towards successful and timely completion of the project resulting in patents, various awards and scientific publications. I also like to transfer my knowledge and experience to clients, project partners and students as well as to the general public. Click to see the list of projects that I participated in or the list of my publications. research of search pathology in order to save “thinking” time by preventing futile search in computer games. intelligent laboratory system that predicts future anomalous operation of laboratory equipment (e.g. refrigeration systems) and unusual lab environment conditions (e.g. humidity fluctuations).